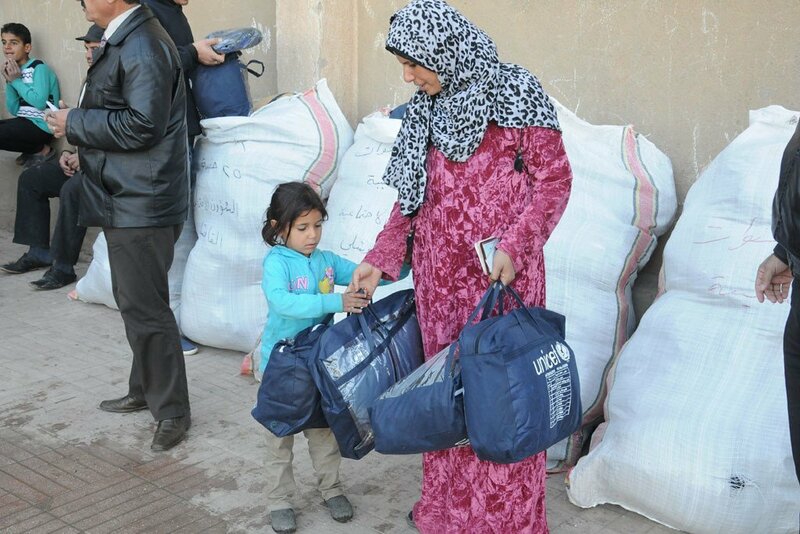 UNICEF distributes winter clothing kits at the Hasan Baran Primary School, which currently hosts 45 families (around 225 people) most of them displaced from Tel Barak a town in Hassakeh, Syria. The United Nations refugee agency today welcomed a series of recent measures by the Government of Jordan that could help up to 78,000 Syrians to be able to work legally in Jordan in the short term and thousands more in the coming years. “We believe the combined effort of these various initiatives will go a long way to help Syrian refugees become more sufficient and bring economic benefits to Jordan, which has felt the macro-economic consequences of a region in flux and the heavy cost of fighting in Syria,” Spokesperson Ariane Rummery of the Office of the UN High Commissioner for Refugees (UNHCR) told the media in Geneva. Over 640,000 Syrian refugees are registered with UNHCR in Jordan, with more than 85 per cent living outside of camps. A recent study showed nine out of 10 Syrians living outside camps live below the Jordanian poverty line of JOD68, or $87, per capita per month. The most recent of the new measures, launched earlier this month, is a 90-day grace-period that allows employers in the informal sector to freely obtain work permits for Syrian refugees, regularizing their employment. This potentially puts those refugees on the same footing as migrant workers who are allowed to work in areas such as construction, agriculture, the service industry, food and beverages, wholesale and some factories, the spokesperson said. The temporary waiver of fees, which range between $170 to $1,270, depending on the sector, is an important reprieve as many Syrian refugees have been sinking into poverty amid the prolonged war at home, increasing the risk that they would work illegally, she added. For employers, the new grace period also allows them to legalize workers and avoid steep fines of between $280 and $2,100 that led to the closure of some 70 businesses to date. Since the beginning of March, Jordanian authorities have also allowed Syrian refugees to use UNHCR-issued asylum-seeker cards and Jordanian Ministry of Interior identity cards to obtain work permits. Previously, the only way to do so was using a passport and proof of legal entry into the country. As most Syrian refugees lack passports and proof of legal entry status, many were precluded from having jobs. Authorities have now removed that requirement, paving the way for thousands more Syrians to be legally employed. UNHCR launched earlier this month a pilot project to help 2,000 Syrians get jobs in the export garment sector, as a partner of the 'Better Work Jordan' programme run by the International Labour Organization (ILO). The refugee agency is also running weekly job fairs for Syrian refugees in community centres close to the relevant industrial zones, including in Irbid and Zarqa. The first refugees are expected to start work in garment factories next week. 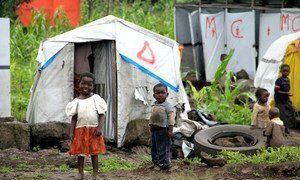 The United Nations refugee agency has expressed concern about the welfare of tens of thousands of internally displaced people (IDP) in eastern Democratic Republic of the Congo (DRC) who have been driven out of host sites due to fresh fighting between the Congolese army and rebel forces.